LARESERVADIRECTA.COM (THEDIRECTBOOKING.COM) is a website created for direct sale to final customer of touristic products (rent a car and bicycle, tourist apartments, cottage, hotels, excursions, transfers, etc …) and rent of lodging, sale of car rental etc. Managed by the company TAMANCA INFORMATION S.L. (one of the first touristic companies of La Palma. Main feature of the modern and innovative company are the attention and good individual service to the customer) who offers a part of touritic activities. and as well is a reflection of the work of many persons who make day by day all possible for our visitors that they can enjoy the best holidays as possible on the island. The company, with nearly 30 years of experience, occupies itself to offer to the traveler during his stay, the best possible attention and enlargement of the touristic offer with the purpose of maximal quality with best prices. It is the intention, that the consumer is in direct connection with the person or company, who offer the product or service. We are a team conducted by professionals with expanded experience, that takes pleasure in its work and it is doing continuously the effort to create progress with the turism on the island. Calle Mauricio Duque Camacho 46-A. 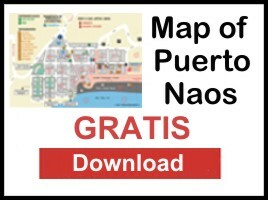 Puerto Naos. Entered in the Business Register from S/C de La Palma, Volume 19, Secction 8, Folio 81, Page LP824.